This number got the crowd assembled at Rentschler Field for The Police concert energized last night: "Every Little Thing She Does Is Magic." For book lovers, this website--Library Thing--is a nifty way to catalogue a collection and also connect with other readers. I joined with a lifetime membership for only $25. And I can upload the contents of my Delicious Library database in one fell swoop. A year ago today I was in South Africa. This song, "Cruel, Crazy, Beautiful World," is by South African artists Johnny Clegg & Savuka. 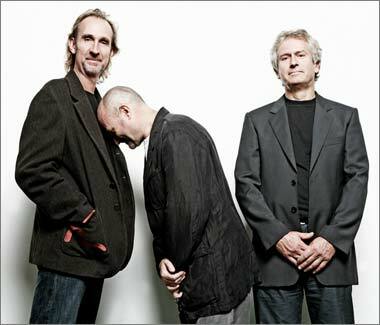 In the wake of The Police concert the other night, I bit the bullet and bought what appeared to be one of the few remaining tickets in the Hartford Civic Center next month for a stop on the Genesis reunion world tour. I looked into getting a block of three or four seats, but they were unavailable at any price via Ticketmaster, and the going prices on StubHub seemed outrageous. The ticket I did buy was pricey, but I figured this probably would be my last chance to see the band play live. My passport, with a newly affixed visa for my trip to Russia next week, arrived back from the expediter today. So I am good to go! A blast from the past: Hank Williams performs "Your Cheatin' Heart." Just got in from seeing the third installment of the Bourne trilogy and it was a very staisfying sequel (unlike most of the other sequels of 2007). The movie was well scripted, well directed, and particularly well acted. 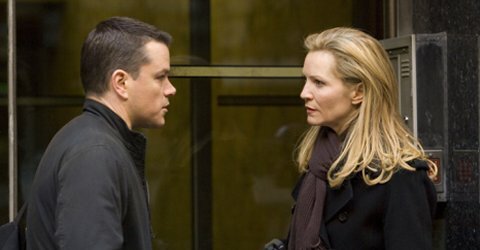 Matt Damon, Julia Stiles, David Straitharn, Albert Finney, Scott Glenn, and especially Joan Allen (pictured above, with Damon) were excellent. This was a great mix of gripping action sequences and psychological drama filmed mostly with handheld cameras in a range of visually appealing backdrops such as London, Madrid, Tangier, and New York City. I believe this is what's known as a power ballad: "Faithfully" by Journey. Andrew Gold scored a hit with "Lonely Boy" back in 1977. The Yankees have scored 74 runs in their last seven games! Let's hope this productive offense keeps up heading into the homestretch. I will NOT be satisfied with a wild card berth; I expect the Yanks to win the AL East crown for the tenth straight year. This is k.d. lang's "Constant Craving." I got a surprise this morning when I picked up The New York Times on my doorstep. The paper has experienced some shrinkage! Specifically, it's an inch-and-a-half narrower than it was yesterday. Just as USA Today did several years back, the broadsheet moved to a 12-inch-wide standard in order to cut costs, spending less money on newsprint without changing its format. It will look a bit weird to me, though, at least until I get used to it. August 6 is not a particularly memorable day for most Americans. 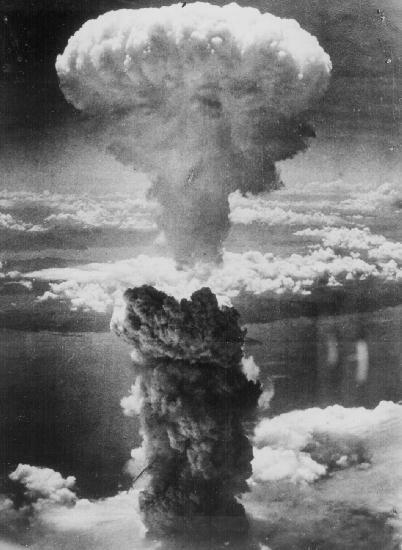 For Japanese, though, it is the anniversary of the Hiroshima bombing, the first use of an atomic weapon on a population. This is the AOL Sessions version of "If It Makes You Happy" by Sheryl Crow. 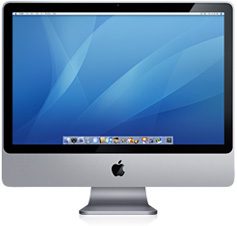 Pretty tempting, and I do need to refresh my desktop set-up, which is now over two years old, BUT if I wait until October, I can get the forthcoming Mac OS Leopard and the new iLife package at no additional charge when I order a new machine. I turned on the television not even a minute ago. First thing I see: a pitch. Then Barry Bonds hits the record-breaking home run. Weird. When I was a kid, it sucked having a summer birthday, as you missed out on the chance to celebrate in school. Technology has made it a lot easier to touch base on birthdays. There is a Chinese proverb I like that says, "He who returns from a journey is not the same as he who left." As I head to the airport for a trip to Russia for the first time, this sentiment is reflected in Rush's "Fly By Night." Off To The Airport Again! Time to head out once more. 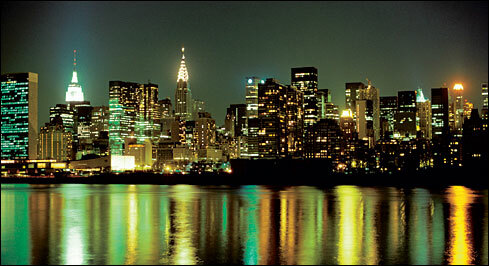 I am about to drive to Kennedy Airport and then fly Delta to Moscow for a week there and in St. Petersburg. Sitting in the airport, waiting to board my flight, I realized what I forgot to pack: a belt (no real problem there); my portable iPod speakers (I can live without those, too); in the absence of the speakers, a USB cord to re-charge my iPod (I just bought a replacement cord here in Kennedy Airport for $18). But I've got my passport and my wallet, and I am traveling light, so hopefully there will be no snags. The flight to Russia was uneventful. It was a fairly full plane, but I was comfortable in an aisle seat for the nine-hour trip. The airport was similarly painless: no problems getting through customs and in the baggage claim. I took the adventurous way to my hotel, via public transportation, specifically a bus and the Metro subway system. Though I was a bit unsure of where I would end up--NOTHING is written in English!--I managed to make it my hotel, the Novotel Moscow Centre, which is a business-oriented hotel with an English-speaking staff. My 12th floor room is spacious. The 30-40 minutes on the bus gave me a good eyeful of the outskirts of Moscow. My first reaction was that my surroundings looked like a cross between Beijing and Madrid. Beijing for the foreign non-Roman alphabet writing everywhere as well as the functional-but-ugly Stalinist architecture on display. Madrid for the landscape and the endless advertisements for Western multinational companies everywhere: Toyota and Ford dealerships, Coca-Cola drink stands, McDonald's restaurants (of course all of these were in Beijing as well). I guess capitalism has arrived in full force here! I am going to nap a bit before heading out to explore the city this evening. Willie Nelson's "On The Road Again." Slept more than I had intended to and took the Metro into the city for some dinner at about 9pm, as I was famished. 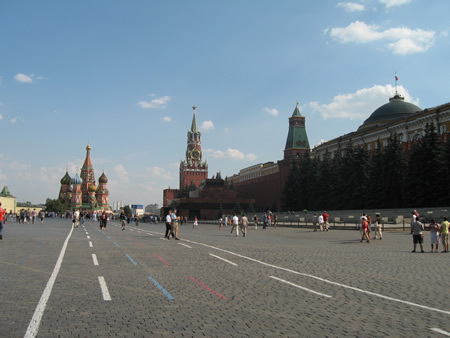 I ended up around Pushkin Square, where I settled on a T.G.I. 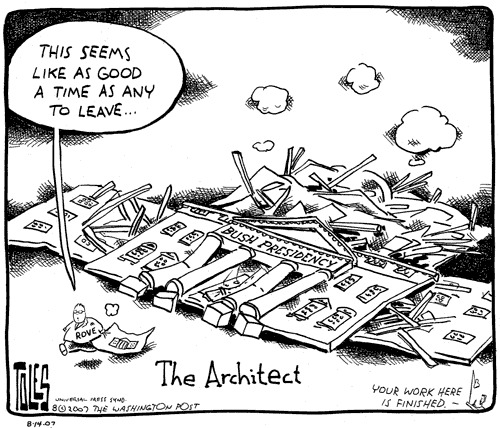 Friday's as the safest alternative (shoot me for choosing the toursity least path of resistance!). The meal was fine, if unremarkable. I walked down the Tverskaya thoroughfare to the Kremlin and Red Square--beautifully illuminated at night--before heading back to the hotel. 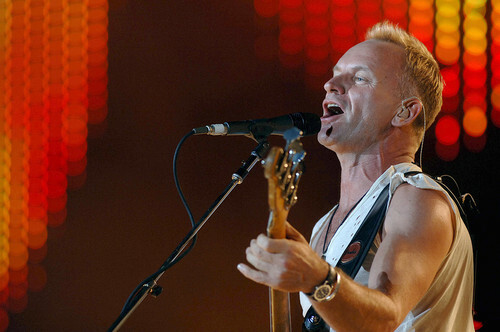 On his first solo album, The Dream Of The Blue Turtles, Sting gave us "Russians." After a great hotel breakfast, I set off to one of the train stations to secure a ticket for my overnight trip to St. Petersburg on Monday. Nowhere in the entire train station was there a word written in English. And not one person who worked there that I approached spoke the language, either. I suppose I've been spoiled in much of my traveling, in that I've almost always been able to find someone who could speak my native tongue. The trick with Russian is that the alphabet is different. The other places I've been that don't use the Roman alphabet (e.g., Japan, China, Thailand, India, Greece) have consistently posted signs with English translations when it comes to public transportation, sight-seeing venues, etc. Not so here. Thus I find myself comparing "word pictures" of the names of subway stations to the listings on my map to be sure I am in the right place. It's like a big game of Concentration. Anyway, I had zero luck at the train station trying to get a ticket, and the Intourist travel agent across town was no help either. At the end of a day exploring Red Square and the Arbat district (and a decent sushi lunch), I finally resolved my problem at the Guest Relations desk at my hotel. So I have my ticket in hand now. I'd have saved myself a lot of time and frustration if I had started here! The picture above doesn't do justice to the massive edifice I walked past today: the imposing Foreign Ministry building, finished in 1951. This is one of the Seven Sisters--Moscow skyscrapers built in the Soviet style, a amalgam of Gothic and Russian Baroque design principles intended to convey the enormous power of the state. 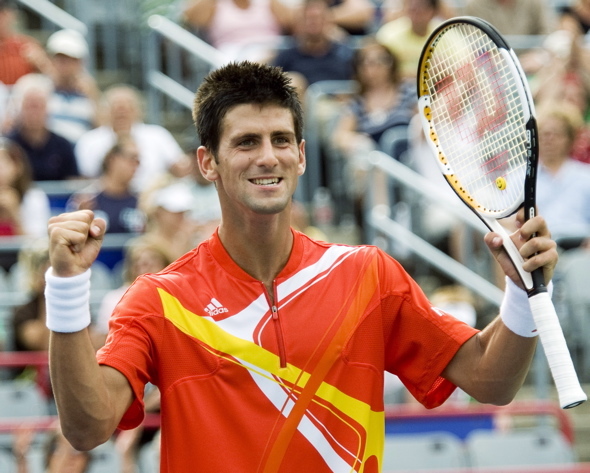 Meanwhile, back in Montreal, Novak Djokovic has knocked off the world's #3 (Roddick) and #2 (Nadal) players in consecutive matches to advance to a final round appointment against Roger Federer on Sunday. An impressive run--and all the more if he should he win tomorrow! From the James Bond movie of the same name, "From Russia With Love" was performed by Matt Monro. There's far more red on the current map--it helps to have visited some BIG countries such as Russia, China, India, and Brazil--but there is still a lot left to see! Make a map of your own travels by clicking here. I actually found a place in Moscow that runs the occasional English language film--a new release, no less! The Moscow Times (the free English daily distributed at my hotel) alerted me to the fact that Stardust was being shown at one of the main multiplexes here in the city. After I arrived at the cinema and fumbled my way through a ticket purchase with a Russian-speaking clerk, I had to search long and hard for the actual theater in which the movie was playing. Turns out I had to head outside and around to the back of the place, in through a side door and up a back staircase to a small room with maybe 60 seats tucked away in the complex. No matter: I had arrived. I really wanted to see this particular flick. I am an ardent fan of Neil Gaiman's work, and this movie was based on an illustrated prose piece that was later turned into a short novel, which is what I read maybe 6-7 years ago. I have a very clear memory of reading the prose version of Stardust in a little tea house that I think is called The Oven Door in Dingle, Ireland, while waiting for a group from Choate to arrive later in the day. In any case, the movie was fresh to me, either because I forgot huge chunks of the book or because the film is sufficiently different from its source material (or maybe both!). There were a few elements in this fairy tale for adults that I remembered, but most of it seemed very new. In short, this was an absolutely lovely, charming movie--spell-binding in all the ways a good story should be. The visuals in the film were wonderful, and the actors were all up to the task. Charlie Cox and Claire Danes were perfect as the leads. Peter O'Toole had an entertaining cameo, Robert DeNiro was terrific as a ship captain with a secret life, and Ricky Gervais showed provided comic relief playing . . . well, Ricky Gervais, and was very funny. And Sir Ian McKellen was an aptly-cast narrator (though I could not place his naggingly familiar voice until the final credits rolled). This is a rare film that I'd actually pay to see again in the theater. From Pete Townshend's solo repertoire, this is "Let My Love Open The Door." I finished off the television series Undeclared this morning. This Judd Apatow-produced show never made it past its first season, like Apatow's Freaks And Geeks before it, but like its predecessor it contains compelling characters, thoughtful humor, and a great soundtrack. And the core of the Apatow ensemble seen in The 40-Year-Old Virgin and Knocked Up--people like Seth Rogen and Jason Segal--is present in this series as well. Moreover, these films clearly share the same sensibility with the two TV series (Freaks and Undeclared). Today I visited the parts of the Kremlin open to the public (a portion of the complex functions as the official headquarters of the President of the Russian Federation). 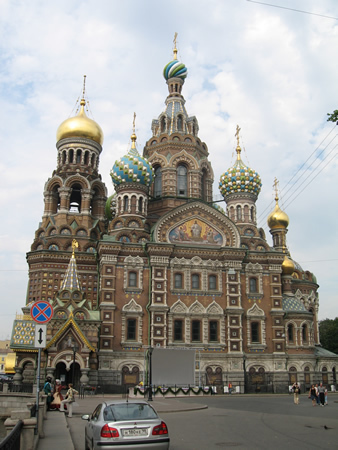 Most of what you can see are ornate Orthodox chapels in the typical architectural style. I've been traveling through the city on the excellent Metro system: it's fast, reliable, convenient, and cheap. There is a stop right outside my hotel that can take me pretty much anywhere in the city. 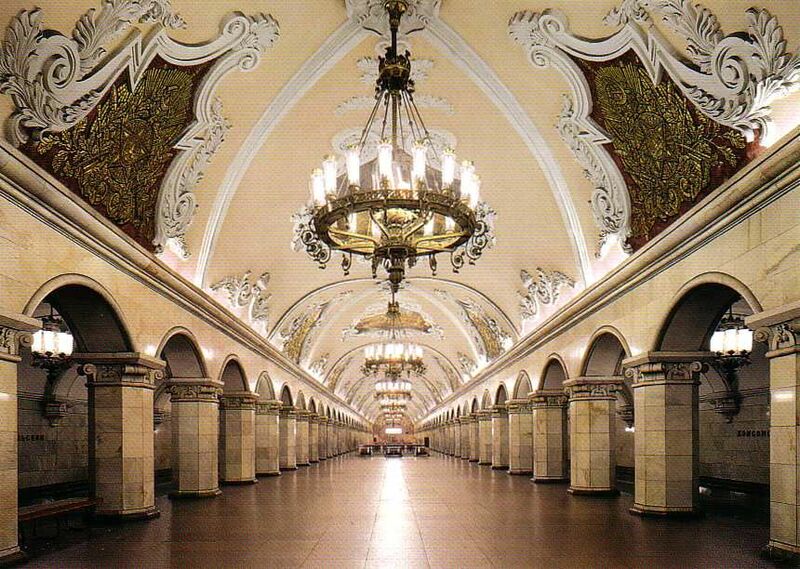 The Metro system was constructed starting in the 1930s and was intended to reflect the glory of the socialist state, and thus the oldest stations boast ornate and extravagant architectural designs, often with murals and sculpture in the official artictic style of Russian communism: Socialist Realism. The escalators are among the longest I've ever been on--rivaling those at the Dupont Circle stop on the D.C. Metro or at Leicester Square station on the London Underground. They also move faster than others I've been on, though one gets used to this quickly. I headed back to Red Square tonight to snap a few pics of the iconic St. Basil's illuminated at night. Mindful of my travel ordeal the last 24 hours, this is The Doobie Brothers with "Long Train Runnin'." 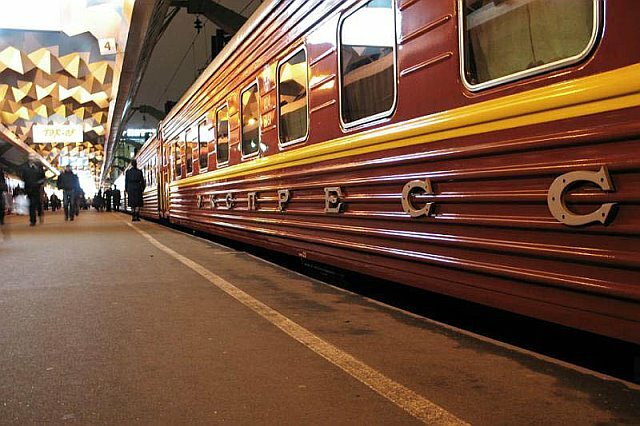 I was assigned to a four-berth sleeper coupe, which I shared with two Russian businessmen, and settled into an upper bunk for some shut-eye. As I drifted in and out of sleep through the night, I was aware we were not moving for long stretches of time. When I arose in the morning, one of my companions in the compartment, who spoke some English, explained to me that there had been a terrorist attack on an earlier train on this route, and thus we would be delayed and rerouted. Apparently some Chechen separatists had blown up the tracks under an express train from Moscow to St. Petersburg. The upshot of all of this was a 12-hour delay in getting to St. Petersburg. To make matters worse, the switch from an electrical engine to a diesel one meant we had no air conditioning throughout the day. So it was a pretty brutal experience, particularly as the two gents with whom I shared the compartment wanted to talk all day (one of them kept rambling on in Russian, as if I understood anything he said!). The one who did speak English at one point confided in me that he did some work for the KGB, but asked that I not tell anyone else! I found this doubtful, if amusing. I was relieved to finally arrive in St. Petersburg. I am staying in a hotel just off the main thoroughfare of the city, Nevsky Prospect, which was just one Metro stop away from the train station. In the tradition of great summer songs, here is "Magic" by The Cars. St. Petersburg was established by Peter the Great as part of his efforts to Westernize Russia, connecting the country to the rest of Europe in a way that remote Moscow never could be. The city today has a more cosmopolitan feel than does the capital. Like Sydney and Melbourne, there is clearly a competitive aspect to the reltionship between these two cities, both of which have served as the seat of political power in Russian history. The photo above is the Church On Spilled Blood, the city's answer to St. 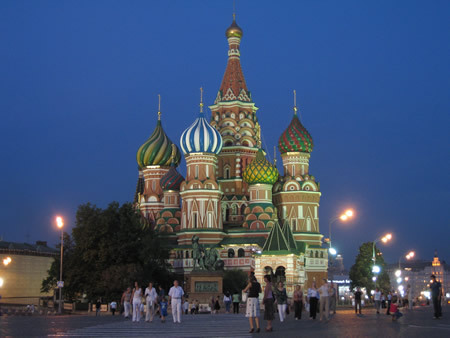 Basil's Cathedral, and marks the spot where reformist Czar Alexander II was assassinated in 1881. I spent the day on my feet in a 90+ degree day here in St. Petersburg, came back to my hotel for a refreshing cold shower, and collapsed. The first half of the day was spent poking around The Hermitage, truly one of the great museums of the world. There were sections of the museum I skipped outright, and yet I had my fill of artifacts from antiquity (Egypt, Greece, Rome) right on through the history of Western art (Michelangelo, Leonardo da Vinci, Rubens, van Dyck, Rembrandt, Poussin, Claude Lorrain, Rodin, Monet, Pissarro, Renoir, Cézanne, van Gogh, Gauguin, Picasso, and Matisse, to name a few!). 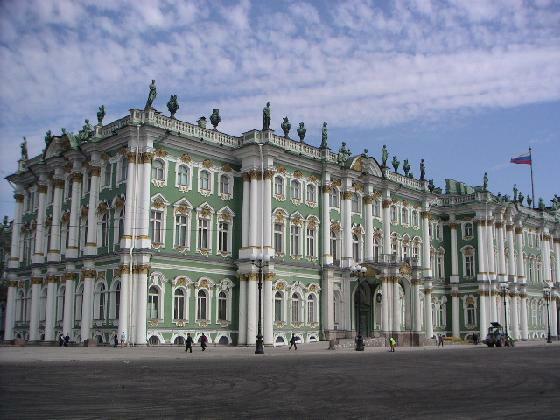 Of course, the architectural setting, which includes the opulent Winter Palace, is worth the admission price on its own. In the afternoon, I crossed the Neva River to explore the Peter and Paul Fortress, the place where the city was founded by Peter the Great just over 300 years ago. 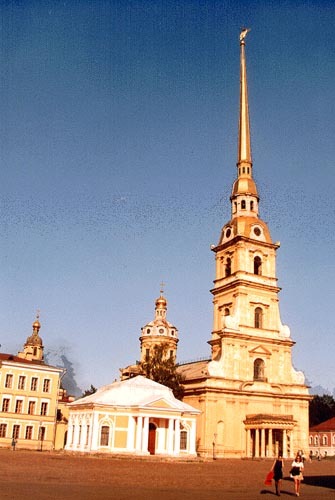 The fortress features the Peter and Paul Cathedral, the plain aspect of which hides an impressive Baroque inerior. All the Russian czars from Peter I to Alexander III were buried within and nearly a decade ago the remains of the Romanovs murdered in the 1917 revolution were also interred there, in a controversial move. A long day, but well worth it. Tomorrow I fly back to Moscow and then home. Being so northerly, daylight lingers past 10:30 at night, even in mid-August. 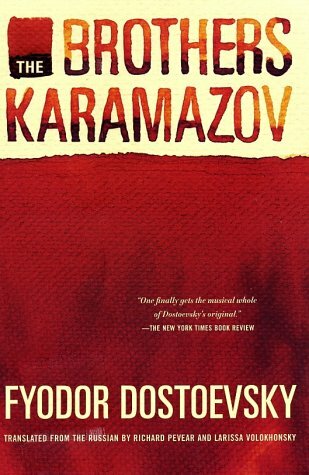 I am taking advantage of the chance to read Dostoevsky in his native city, re-engaging with The Brothers Karamazov. As my travels come to a close--at least for the time being--here is a reflection by James Taylor called "Wandering." I left my St. Petersburg hotel at 5:30 for the airport. I overpaid for the taxi--the driver charged me close to $50!--but since public transportation was not yet up and running and I had a 6:50 flight and the airport was entirely unfamiliar to me, I held my breath and paid up. The Aeroflot flight wasn't bad, but the plane evoked all the horror stories I used to hear about Soviet aviation. The airplane had to be over 20 years old and I've seen better interiors in Greyhound buses. The rumbling sounds we were subjected to on the tarmac did not inspire confidence. But the short (1 hour, 20 minute) flight was uneventful. At 12:15 I fly to New York. I made it home at last. The flight back was scheduled to be ten hours long--two hours longer than the flight over, due to headwinds. Storms in the New York metropolitan area delayed our landing. My seatmate was a 9-year-old named Gregory who was fluent in both English and Russian. At one point, he asked if he could plug into the extra headphone jack on my DVD player, and I let him. 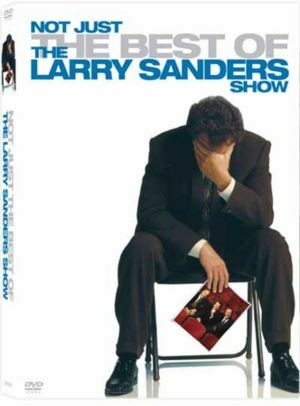 I was watching The Larry Sanders Show--extremely funny, but probably not exactly age appropriate for a fourth grader in terms of language and subject matter--but the boy lost interest in the program within five minutes and returned to his portable video game. I breezed through the immigration checkpoint, and so the law of averages dictated my bag was one of the last returned at the carousel, of course. Getting out of the Delta terminal is never a picnic (whoever designed Terminal 3 at J.F.K. should be shot--it's woefully inefficient at handling both pedestrian and vehicular access and egress). Predictably, the Merritt Parkway was slowed to a crawl with late Friday afternoon traffic by the time I reached it. I am home now, though, and ready to hit the sack. Today I offer Coldplay's "Warning Sign." The air is cooler than when I left--could it be a hint of the fall ahead?--but I have two weeks before school kicks into gear, and I intend to enjoy this traditionally very pleasant time of the year. Superbad is very funny, even if its humor is sophomoric. The first 20 minutes or so of the film are just brilliant. Things level off after that as "the plot" becomes more central. This is an amazing live 1974 version of "Rocket Man" by Elton John. 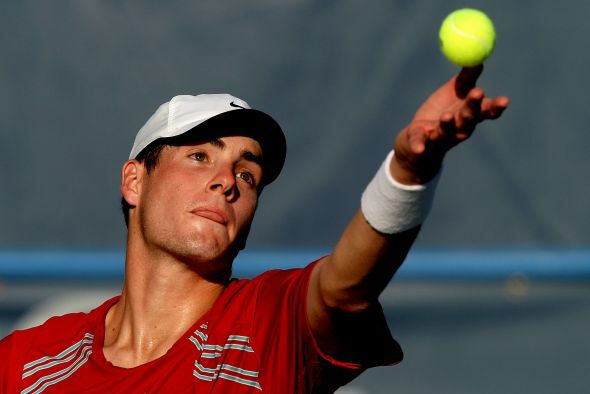 I spent the morning playing in a men's doubles round robin tournament down in Guilford, then took one of the Choate players to a men's round robin singles event in Old Saybrook, then watched Roger Federer win the Cincinnati event for his 50th ATP title on television. This Madonna tune, "Die Another Day," opened the James Bond flick of the same name. I've been playing around with LibraryThing a bit the past couple of weeks: it's a web-based cataloguing service for books, one with all sorts of interesting bells and whistles. It has the ability to automatically generate a blog widget with highlights from one's library, complete with cover graphics. So I've added such a widget in the column to the right, below. This replaces the lists of "current" books, DVDs, and music that I actually had not updated in at least two years or so! 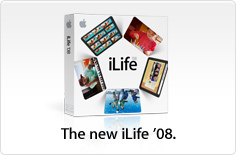 This only works with books right now; maybe LibraryThing will incorporate DVDs and CDs in the future, though? In any case, this will ensure fresher content on this page from now on. Today is rainy and cool. I've noticed since I have returned to Connecticut that the morning air now requires a jacket. Summer seems to be winding down . . . 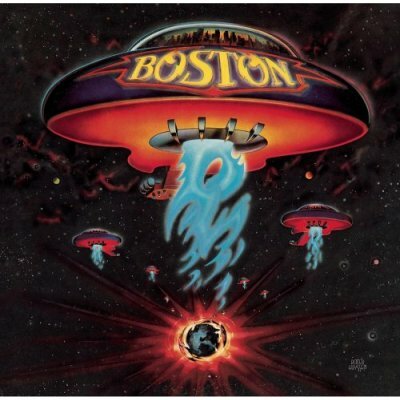 Yesterday's song was "CenterFIELD," today's is "CenterFOLD" by The J. Geils Band. 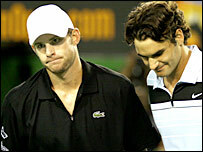 Andy Roddick's recent early losses in Montreal and Cincinnati meant that he dropped out of the top four in the world. This, in turn, made him vulnerable to the possibility of facing Roger Federer before the semifinals in the upcoming U.S. Open--something that, if form holds, will now come to pass, based on the draw made today in New York City. Should both players make it that far, the rematch between 2006's Open finalists will be played in the quarterfinal round. 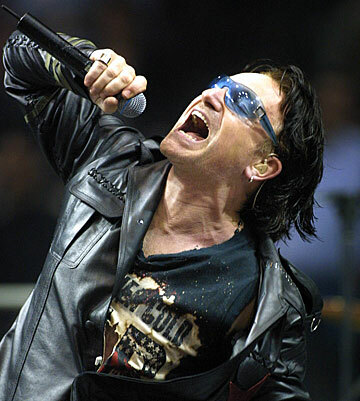 This medley from a U2 concert in Boston in early 2001 blends "Bad" and "Where The Streets Have No Name" with a taste of "40" in between. It's awesome! I returned from Russia six nights ago. Last night was the first time since that I have slept "normal" hours. I seem to have shaken the ol' jet lag at last. 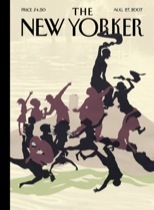 The New Yorker has a wonderful profile of Ian McKellen by John Lahr in this week's issue. It's worth a read. 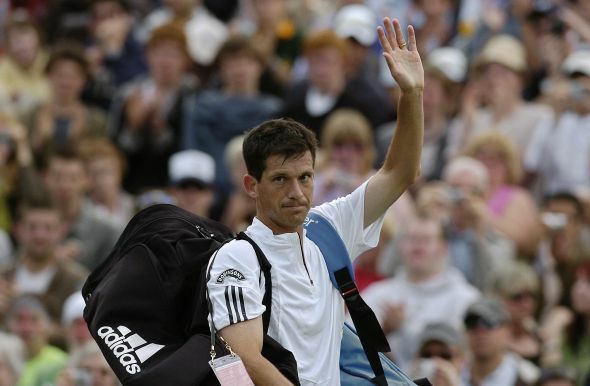 Earlier today, Tim Henman announced his retirement, to follow the upcoming U.S. Open and a Davis Cup tie later in the month. I can remember watching Henman when he was a teenager; he stayed the whole week at the New Haven ATP event (I was working for the tournament at the time) to practice. This was before his climb to the world's top five and the Henman Hill mania that swept England every June when the player was in the hunt at Wimbledon. 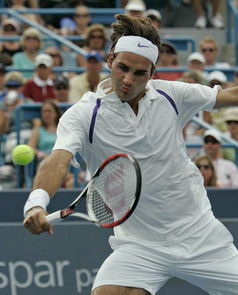 I'll miss his fluid serve-and-volley game and his classy demeanor on and off the court. This is "Dizzy" from The Goo Goo Dolls. I had to take time out this afternoon to bring my Ford Explorer in for state-mandated emissions testing. While I generally agree with the principle involved here, it costs $20 for five minutes' work, plus $85 registration renewal for two years. Add in driver's license fees, insurance, routine service and repairs, and the cost of fuel, and it's clear that owning a motor vehicle is not a cheap proposition. "Everybody Wants To Rule The World" was a mid-1980s hit for Tears For Fears (and closed the movie Real Genius). Just got in from a wedding here on the Choate campus. Suzanne Generous tied the knot with Michael Prentice in the Seymour St. John Chapel, and then I reconnected with a host of old friends and other familiar faces during a very enjoyable reception in Hill House. Afterward a few of us visited my friend Chuck to congratulate him on his recent marriage. A very social evening! As summer is still with us for a few more weeks, here is a thematically appropriate tune: "Nightswimming" by R.E.M. Queen teamed up with David Bowie to make "Under Pressure" a 1981 hit (which would provide the bass hook for Vanilla Ice's fifteen minutes of fame a decade later). 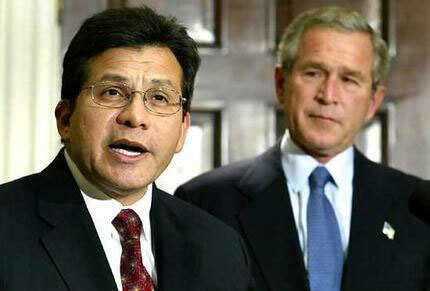 Another Bush Administration official prepares for the walk of shame back into private life: Attorney General Alberto Gonzalez announced his resignation this morning on the heels of disastrous performances in Congressional testimony earlier in the summer, leaving behind him not exactly the most distinguished record in the annals of the Justice Department! 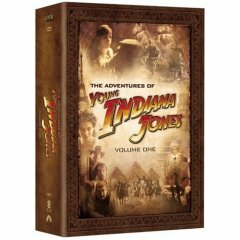 No doubt a lead-up to next year's rollout of the fourth Indiana Jones big screen adventure, Lucasfilm will be releasing three DVD sets of the television show The Young Indiana Jones Chronicles starting this fall. In a few minutes, the 2007 U.S. Open kicks into gear. I am heading to Flushing Meadows for the day tomorrow with the last two Choate Tennis captains to take in the action. This tournament will be a major distraction as the opening-of-school rituals vie for my time in the next two weeks. 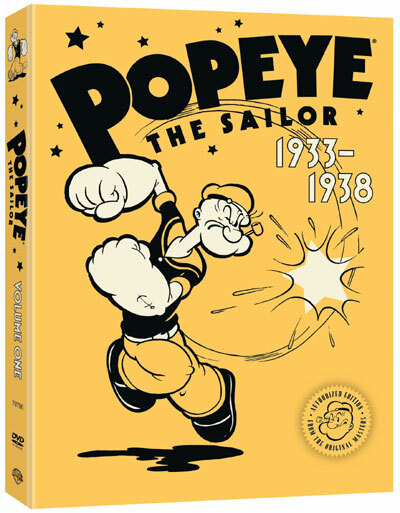 Today I received from my friends at Amazon the highly-regarded and well-reviewed collection of Max Fleischer Popeye cartoons, from the Golden Age of animation. I should enjoy this. This song, "Brighter Than Sunshine" by Aqualung, is seductively appealing. 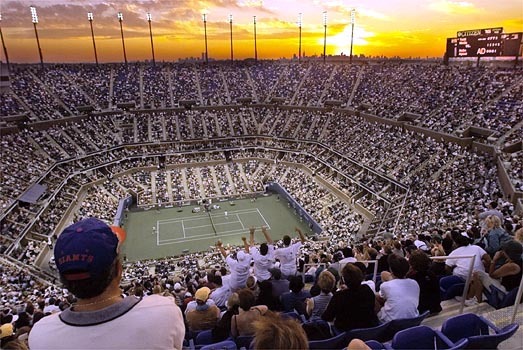 I spent eight hours today at the National Tennis Center for Day Two of the 2007 U.S. Open. It wasn't the best possible line-up, but we saw a mix of good matches, including an impressive James Blake win in Ashe Stadium and some intriguing singles and doubles match-ups on the Grandstand and the outer courts. That's the appeal of the early days of the tournament: there's tons of main draw action all over the grounds, plus some doubles and good practice court activity. 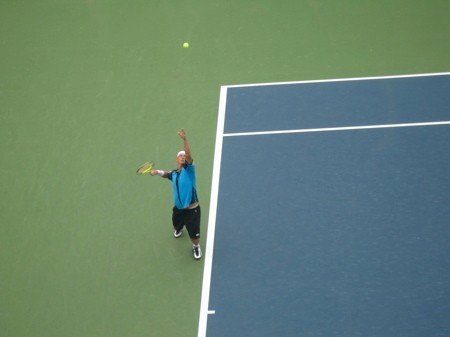 The photo above I took from the upper level of Armstrong Stadium overlooking the Grandstand: it's David Nalbandian serving. A little taste of Irish rock in Van Morrison's "Cleaning Windows." I picked up the DVD set of Season One of the show Friday Night Lights. I've never seen an episode of the NBC show--though I did see the 2004 film--but it has terrific word of mouth and is one of those critical favorites always on the cusp of cancellation. And this set cost less than $20 on Amazon.com, so I took the plunge. Maybe this will help keep the show on the air? Steve Winwood's "Higher Love" was on one of the first three CDs I ever bought. I had been predicting for weeks now that the Yankees would dominate the Sox as the end of the season approached. Today's win at The Stadium completed a three-game sweep of Boston. Now if the Yankees had shown up to play at all last week, this would mean the gap in the division standings would be erased. But even after the sweep, the Yanks are still 5 games out. As I blogged earlier, I am not settling for the Wild Card; I expect New York to win the AL East (again). 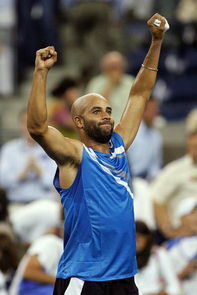 James Blake finally won a five-setter, outlasting the versatile Fabrice Santoro in an enteraining match that just ended. The timeless "Hotel California" by the Eagles. 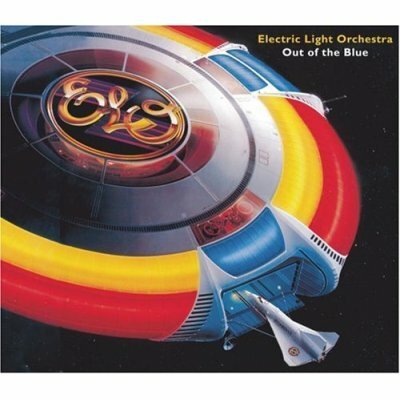 Why don't we see album covers like this anymore? 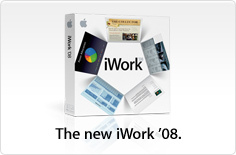 This page contains all entries posted to As Far As You Know in August 2007. They are listed from oldest to newest.